There are many suppliers of free bookkeeping software and some of them do an acceptable job, however there is normally a cost associated with using free bookkeeping software, be it needing to pay for the full functionality or annoyingly funding the software by advertising. No one is going to spend their time producing and maintaining a top class software product for free and no one would expect them to either, so what are the options if you want bookkeeping software that is easy to use, works properly without bugs, does not contain annoying adverts and is totally free to you as the customer? The answer is contained with our online accounting packages. 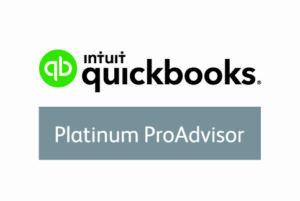 Any new customer signing up for our full accounting packages will receive a totally free 12 month subscription to QuickBooks Online as part of their accounting package and with our full accounting packages starting at just £40 per month + vat this is a very cost effective benefit. We have tested most of the major online accounting packages and we use QuickBooks Online as it is easy to use, provides all the functions that you will ever need to look after your businesses books and has been designed with you, the business owner in mind. In addition to providing QuickBooks Online, if you don’t wish to use the software yourself then we are also able to provide an online bookkeeping service at very competitive rates. Our Online Accounting Packages start from just £40 per month and are designed for the business owner who does not need to see an accountant face to face and is looking for a value for money accounting solution that will meet all their requirements as a one stop service. You will have access to your businesses numbers 24/7 as the Online Bookkeeping Software is always available wherever you have an internet connection. We use Fixed Fee Accounting so you will always know how much you are going to pay in advance and our unique price guarantees ensure that there will never be any extra unwanted charges. You can receive a very competitive free quotation by completing the box at the top of this page and we will contact you. Remember all of our accounting packages come with Free Quick Books Online Subscriptions that are truly free and designed to make your life easier.